“Gandhi fervently opposed the partition of his country into India and Pakistan. Seeing his country tear itself apart galvanised the 78-year-old Mahatma into action. Beginning in Calcutta, he worked with Muslim leaders there, declaring that he would not leave until every Muslim in the city felt safe. In Delhi he went on hunger strike until representatives of every community signed a declaration protecting Muslim rights. He walked from village to village, mediating and calling for an end to the violence, determined not to rest until the killing stopped. On 30 january 1948 the entire country was dumbstruck. Gandhi had been assassinated by a Hindu extremist. with his death he had achieved his final goal: the fighting had finally stopped”. 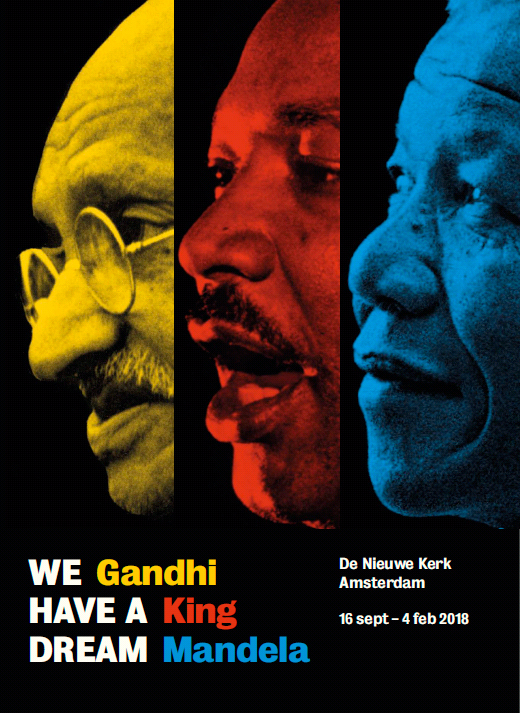 We Have a Dream – Mahatma Gandhi, Martin Luther King, Nelson Mandela.